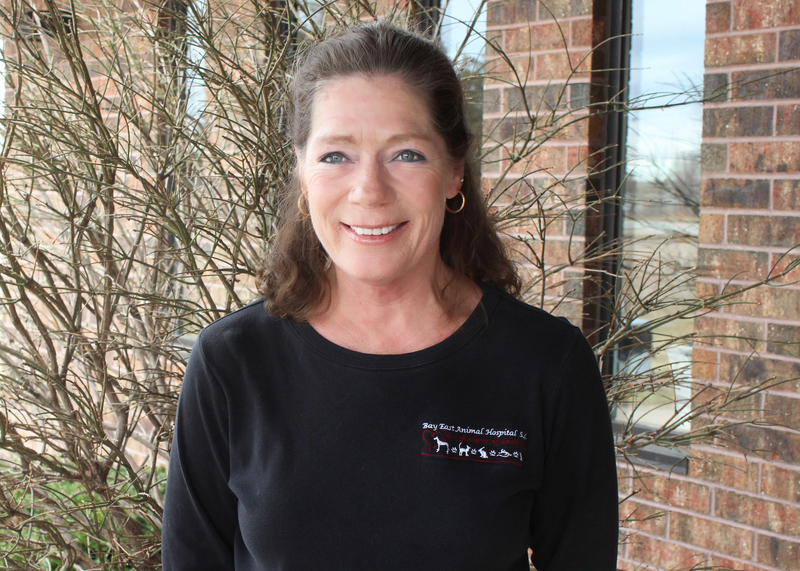 Dr. Margy rejoined Bay East Animal Hospital in 2014 after a ten-year absence. During that time she lived and practiced in Fairbanks, Alaska. She recently returned to Green Bay with her husband, son, dogs Jenny and Ivy, and kitty Sheldon. 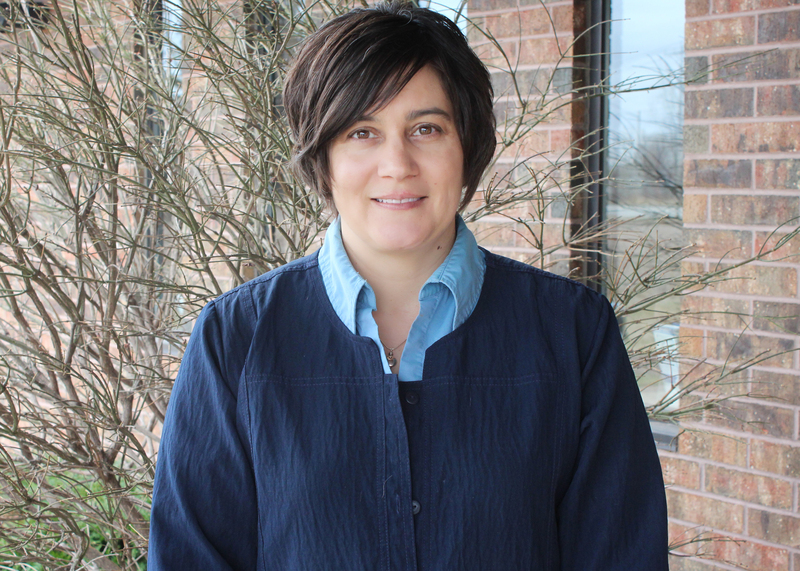 A 1993 graduate of the University of Wisconsin School of Veterinary Medicine, Dr. Eastman has special interests in behavior and training, soft tissue surgery, and internal medicine. 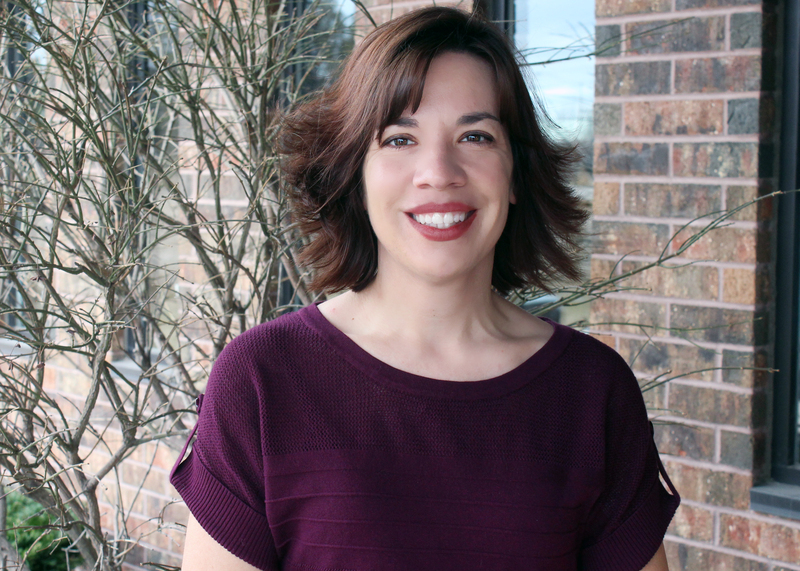 Dr. Cheryl joined the practice in June of 1999 as an associate and became co-owner of the practice in 2004. She is a graduate of the University Of Wisconsin School Of Veterinary Medicine (Go Badgers!). She has a particular interest in internal medicine, soft tissue surgery, and behavior. She has two lovable labs at home, Angus & Otter, as well as a cat, Leinie. She enjoys spending time with her husband and two children. 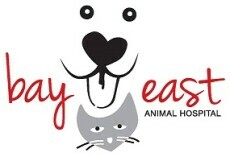 Dr. Berta started at Bay East in September 2003 as a part-time associate veterinarian. She is a graduate of the UW School of Veterinary Medicine in Madison. Her special areas of interest include internal medicine and working with sporting / hunting dogs and their owners. 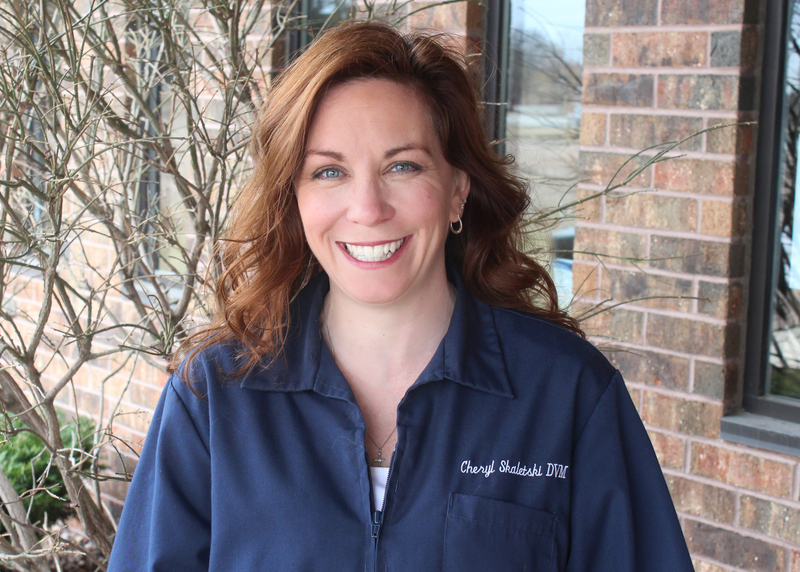 She has practiced veterinary medicine in the Green Bay area for twenty years. 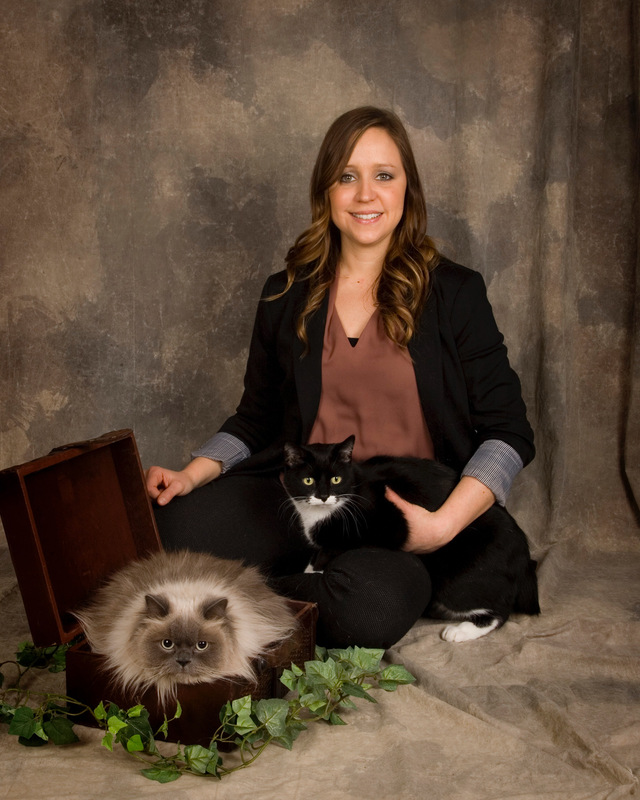 Dr. Riedi and her husband have two children and two Labradors, Grady & Tuxedo Jax. 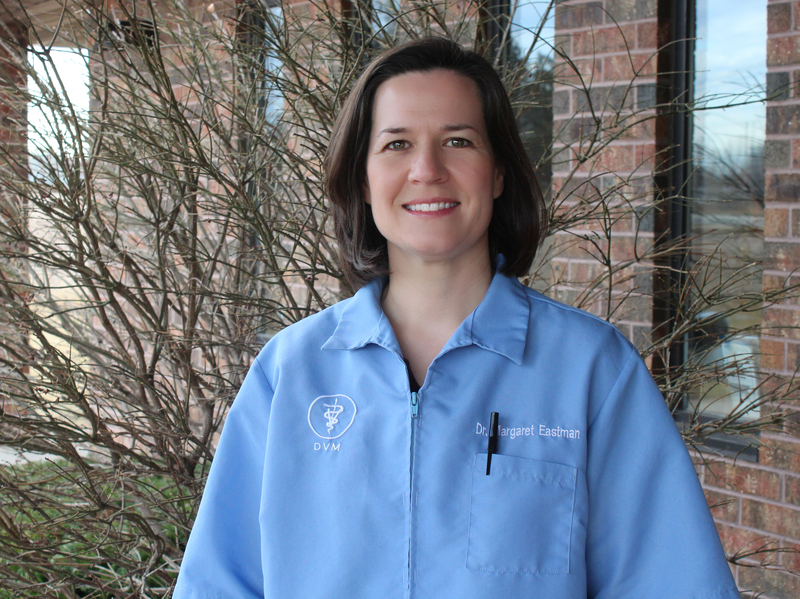 Dr. Tara joined Bay East in 2019 as an associate veterinarian. 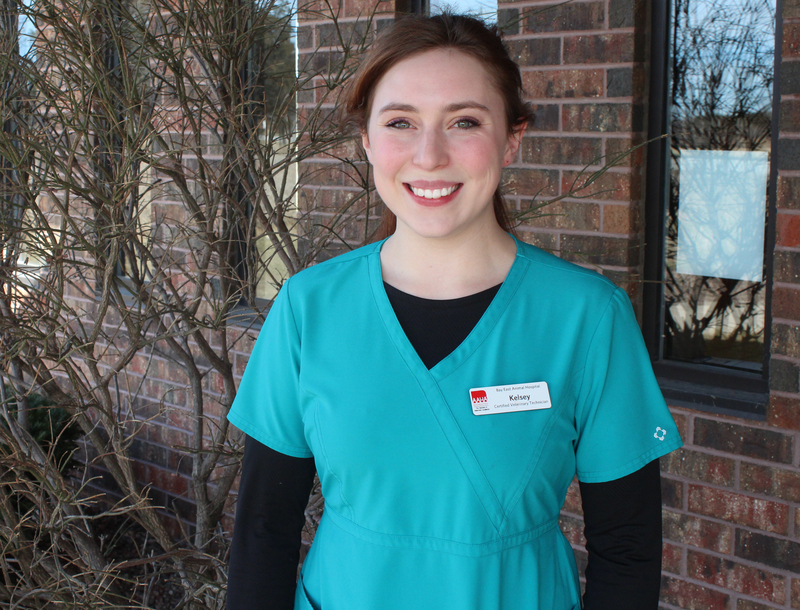 She is a 2011 graduate of the University of Wisconsin School of Veterinary Medicine. 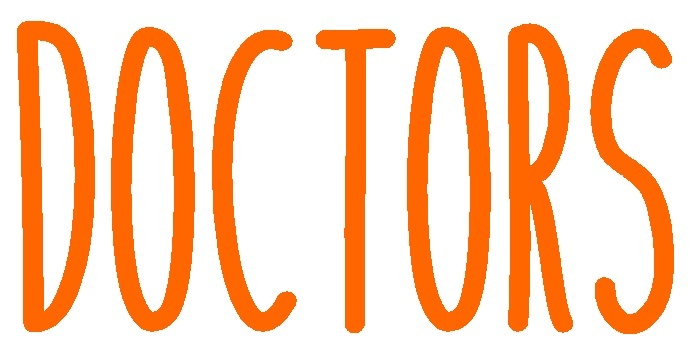 Dr. Tara loves general practice and has a special interest in surgery. Her kitties Ruggles and Easton share their home with Dr. Tara, her husband, and their two little boys. Lisa is our head vet technician and joined the Bay East team in June of 1996. She is married to her husband Shannon and is blessed with two children, Maverick and Hazel. She has a Golden Retriever named Mater. Lisa lives in the country and enjoys spending time with her family, bike riding, traveling, baking and reading a good book. 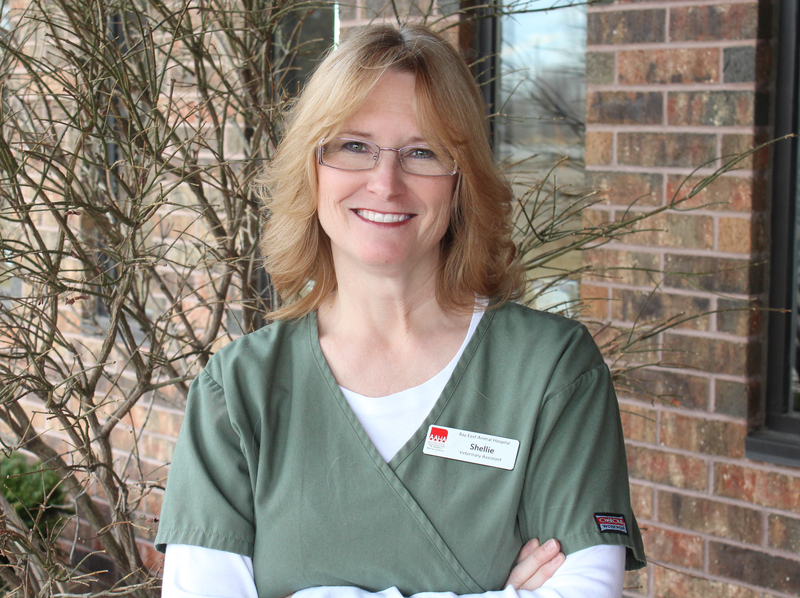 Gina has been a proud employee of Bay East Animal Hospital since May of 2000. She is particularly interested in animal dentistry and diagnostic testing. Gina is a pet lover both inside and outside of work. She shares her home with her French Bulldog, Penelope, and 3 cats, Simon, Phoebe Kittin and Freckles. Outside of work she enjoys gardening, traveling, being outdoors and watching movies. Her favorite past-time, though, is spending time with friends. Kelsey started working at Bay East in the fall of 2014. She graduated from Globe University in October 2014. Kelsey has two cats named Bella & KaDing, three conures named Kismo, Juicy Fruit, & Smeagols, and a Plott Hound named Wylie. 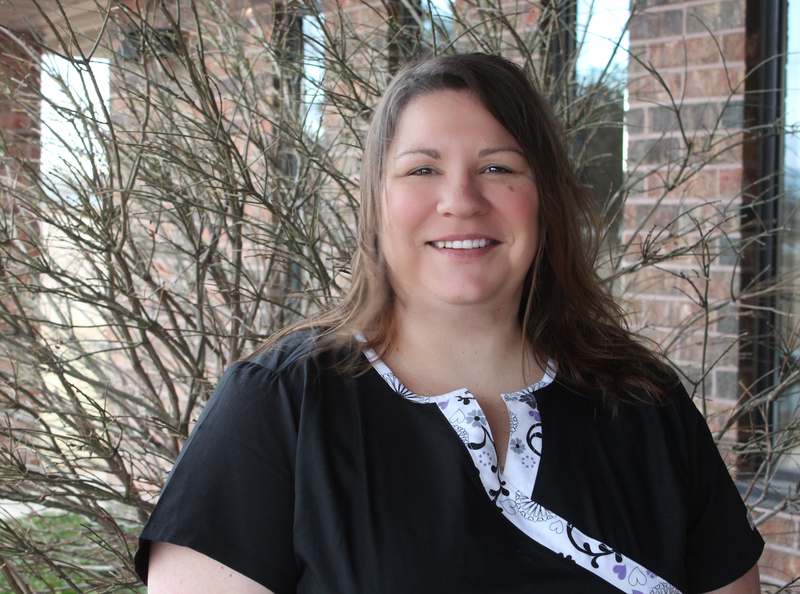 Kelsey currently lives with her husband and enjoys reading, watching movies, and obstacle course racing. Bridget graduated from Globe University in March 2017. She has a love for rodents and has 2 guinea pigs (Gouda & Sika) of her own, a mouse (Monster), a hedgehog (Creampuff), a turtle (Sheldon), and a dog (Shih-tzu named Niko)! She enjoys watching movies, taking walks, and being curled up with a good book. Amanda started at Bay East in July of 2017. She has been a certified technician since 2014. She shares her love for animals with her Australian Shepherd mix, Mason, and her cat Otis. 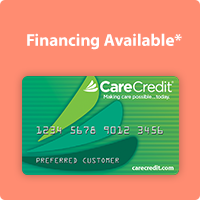 She enjoys spending time with family and friends, including her husband Tyler. When she is not working hard, she spends time hunting, fishing, snowmobiling, skiiing, and enjoying time outdoors. Bob has worked at Bay East since the fall of 2001 as our accountant and computer genius. The entire staff here enjoys his company, especially the humor he brings to the clinic! Bob has also been known to create some delicious entrées, appetizers, and other treats which he gladly shares with his Bay East Co-workers! But do not let that fool you; he also likes to consume all those goodies too! 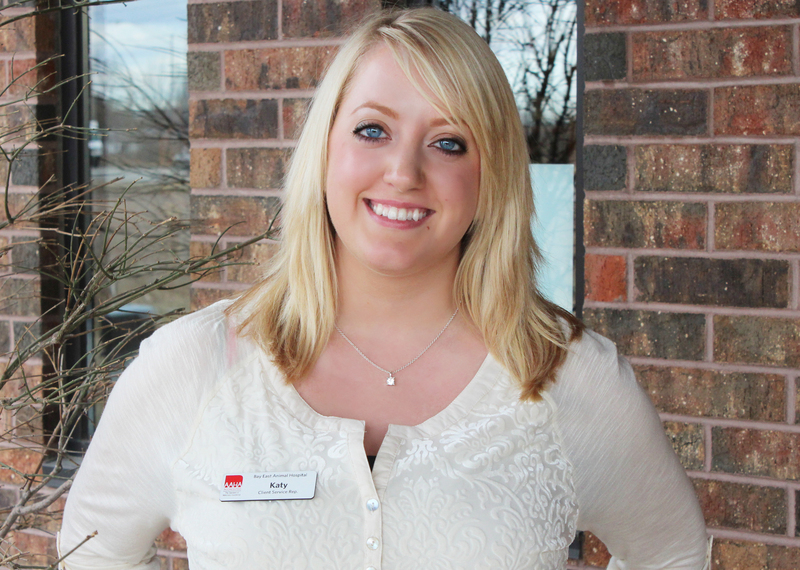 Katy joined the Bay East team in July 2013. 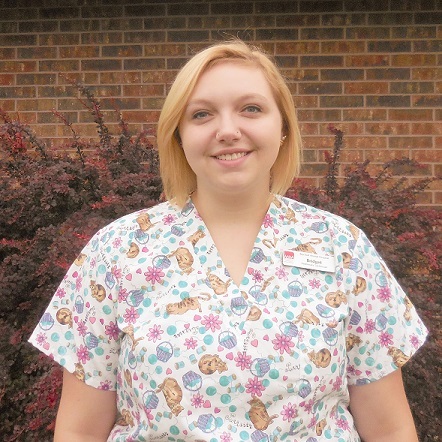 She graduated from the Medical Office program at Fox Valley Technical College in May 2013. She currently lives in Kewaunee with her boyfriend and her beagle mix, Tink. She enjoys spending time with her family and friends, traveling, doing crafts, fishing, and celebrating Packer season! 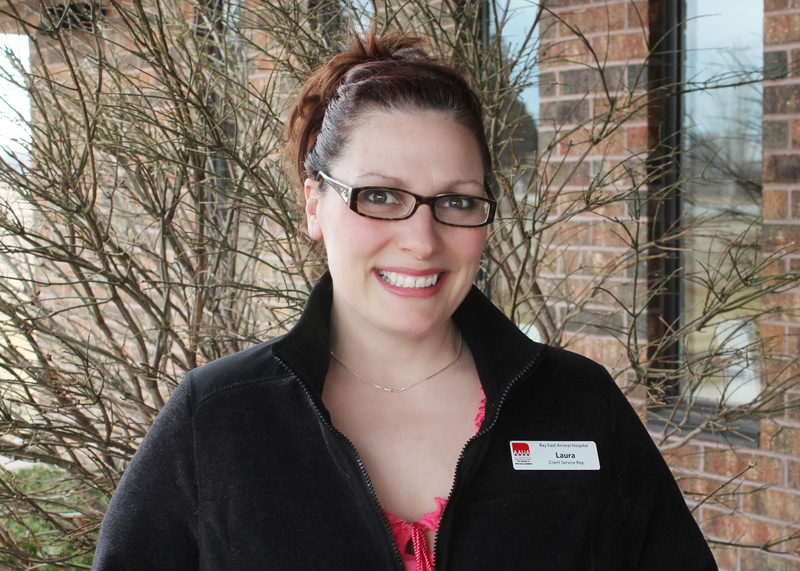 Laura started at Bay East in January 2014. She shares her home with her teenage son and 6 cats of her own, as well as several foster cats, which always keeps things exciting! She enjoys volunteering at Happily Ever After Animal Shelter. Kate joined the Bay East team in November of 2012. She lives with her two cats, Tuesday and Moses, and her German Shepherd mix, Simon. Tuesday was adopted from Happily Ever After, a no-kill animal rescue, Moses was adopted from the Purebred Cat Rescue, and Simon was adopted from our local Bay Area Human Society. Kate is a former horse owner, and still enjoys riding every opportunity she gets. She also enjoys reading, bike rides, going for power-walks, rummage sales, and gardening. Shellie joined the Bay East team in April of 2011. Shellie has a passion for helping animals and their owners in any way she can. Shellie currently owns and operates her own in-home pet sitting service. She lives in Sobieski with her teenage daughter Lexy and fiance Gary, along with their Shelties and Aussies. In her free-time Shellie enjoys spending time with her family and pets, and showing her dogs. 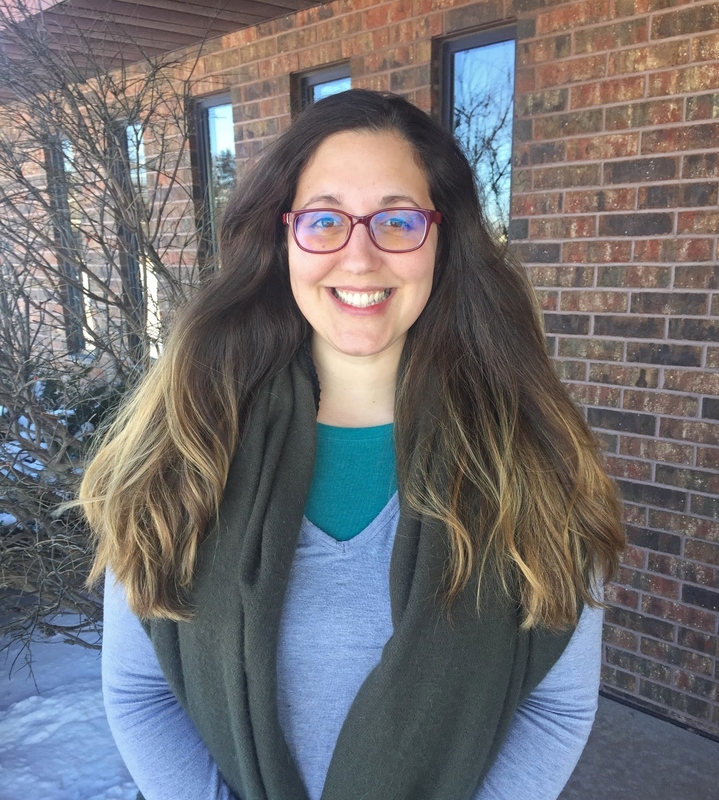 Jennifer joined our team in September 2017. After retiring as a childcare and teaching professional, she shifted careers when she moved to Green Bay. 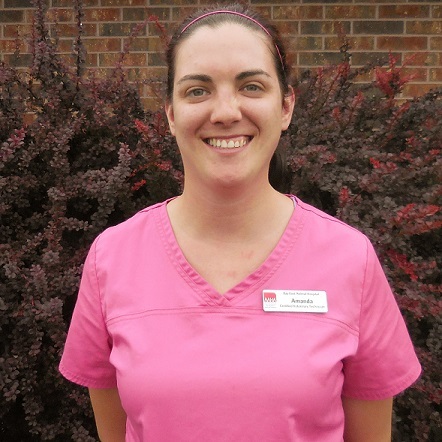 Jennifer enjoys learning about all animals, especially dogs, and hopes to continue working with animals in the future. When Jennifer isn't working, she loves spending time with her Lab mix, Marlin. He brings great joy to her life everyday. Jennifer truly believes Marlin saved her in many ways. Jennifer also enjoys creating art, climbing, camping, and being in the backcountry with Marlin and her boyfriend Arik. 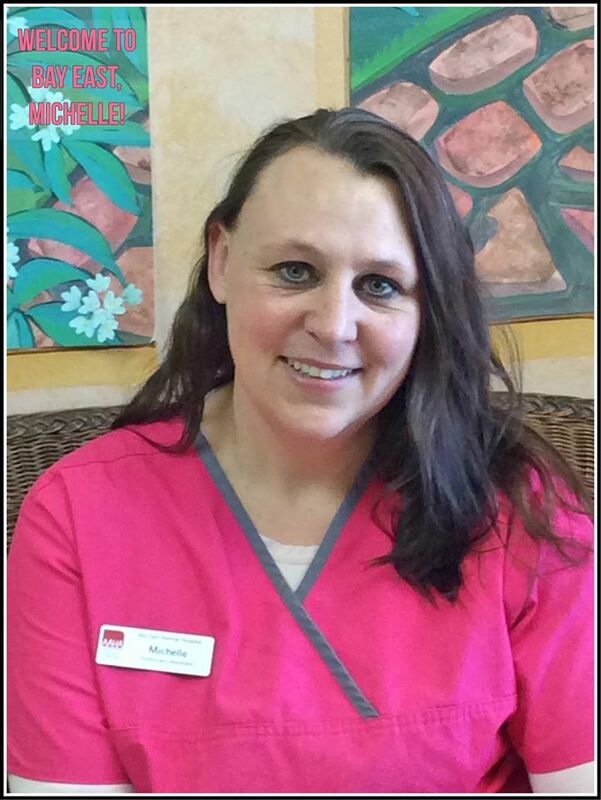 Michelle joined the Bay East team in early 2016. When Michelle isn't busy helping our Bay East pets, she is caring for her own pair of kitties and senior Appaloosa Arrow.